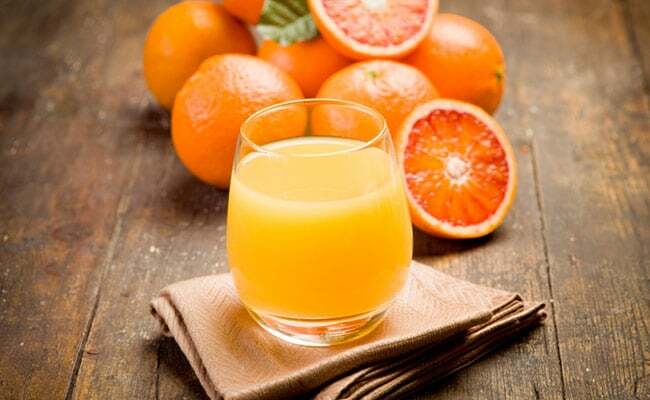 As per a study, published in the Journal of Neurology, consuming orange juice may be linked with a lower risk of memory loss in men over time. Try these interesting yet healthy recipes of orange juice. According to a study, published in the journal Neurology, drinking a glass of orange juice may significantly reduce the risk of dementia. The study focused on the consumption of fruits and vegetables of North American men and their brain functionality for nearly three decades. The average age of men when the data was first collected was 51 years. It was found that men who consumed a glass of orange juice every day were 47 percent less likely to develop poor cognitive skills than those who consumed less than one glass of orange juice in a month. Moreover, the researchers observed that men who consumed more vegetables were 34 percent less likely to experience memory loss. As per the university website, Changzheng Yuan, who is a research fellow at Harvard T.H. Chan School of Public Health and also the lead author of the study, said "this study adds to previous research that higher intake of vegetables and fruits in the long-term may play an important role in maintaining cognitive function." Try this interesting blend of orange and basil that will not only revitalise you, but will also keep your health in check. Orange is full of vitamin C that will keep up your immunity, while "basil fortifies the digestive and nervous system and can be a good remedy for headaches and insomnia," notes the book 'Healing Foods' by D.K. Publishing House. This drink comes with an extra punch of nutrients. All you have to do is to to take pineapples, oranges, bottle gourd, basil, cucumbers and juice them together in a blender. Orange and pineapple are full of antioxidants that will keep you fresh and healthy, while bottle guard has a great amount of choline, which is a kind of neurotransmitter that helps in improving the brain functionality and is known to prevent stress, depression and other mental disorders. If you know some more healthy yet interesting recipes of orange juice, the do let us know in the comment section below.